There are many ways to backup our computer to a remote location or cloud server. Here we are going to show you how to backup to FTP Server using CrossFTP. On my previous article I have shown how to build a powerful FTP Server on top of Windows 10. It’s a small Windows software that can be used to backup data to various backup destination including FTP Server, Amazon S3 and some other cloud storage. When you have your own FTP Server, you can reduce the backup cost for paid cloud storage. 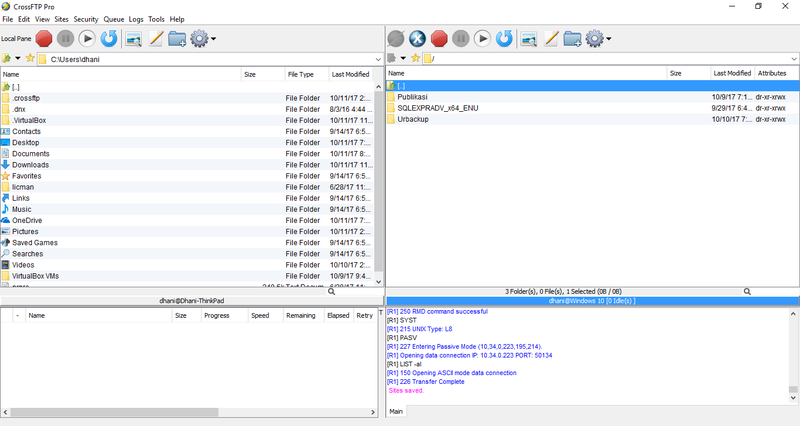 This FTP client software comes with a nice and simple user interface. The left panel shows our local directories and files and the right panel is the remote FTP Server. We can also monitor the file transfer progress from its main window. It also support multiple FTP connections with it’s integrated site manager. 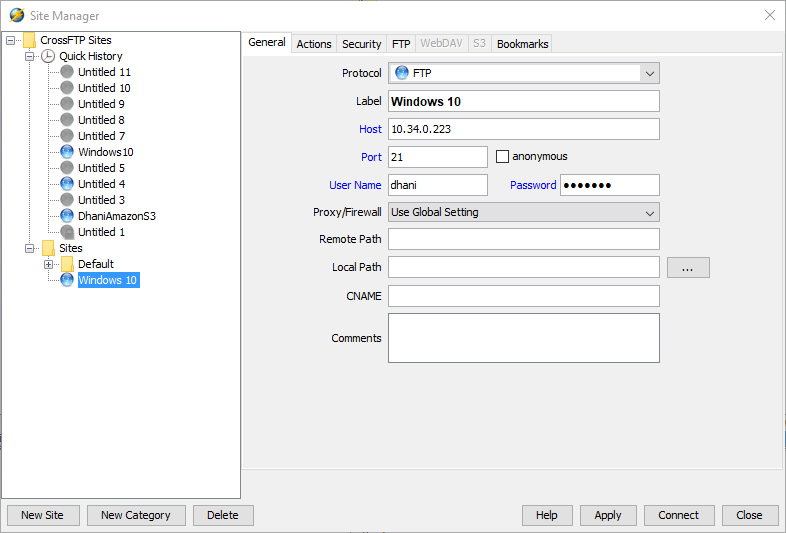 It is very easy to manage your FTP connections from the main window. We can switch from one site to another in no time. First of all, you may want to download and install CrossFTP first. It supports Windows 7, 8 and Windows 10. Once installed, run the program. Go to File | Connect to open the Site Manager. Now you can enter the remote FTP Server details here. 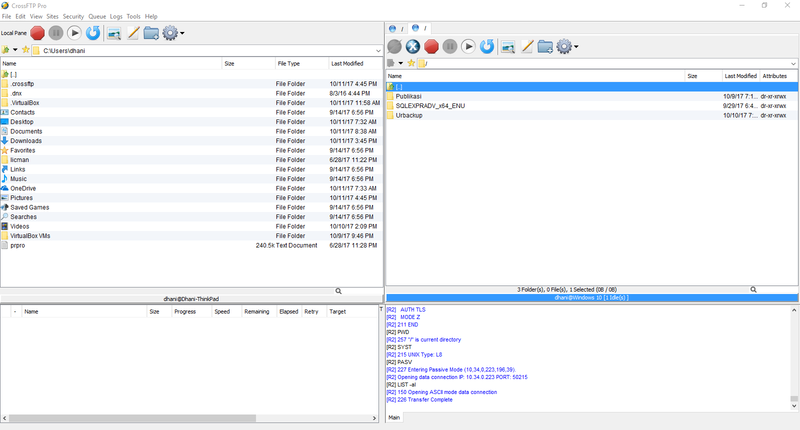 Once connected, you will see the remote server folder on CrossFTP. To start copying files, you can simply drag and drop from your local computer to the remote FTP Server. CrossFTP also supports schedule transfer. This means, the transfer will not performed immediately. It will be transferred based on the time you specified.